Commercial and residential property owners and managers have a responsibility to keep their homes, stores and general grounds in good repair — or to give advance warning to visitors if there are known hazards to be avoided. When they fail to do so and you suffer harm as a result, you have the right to seek compensation. 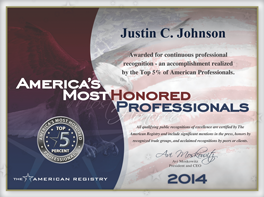 Justin C. Johnson & Associates has extremely skilled attorneys who possess an impressive knowledge of Florida premises liability laws. We have helped clients obtain justice against property owners, tenants, landlords, security guards and companies, management companies, and other at-fault parties in premises liability claims. We do everything possible to help you obtain damages for medical expenses, lost wages, damaged property, and pain and suffering. Justin C. Johnson & Associates is your ideal source for comprehensive assistance if you have been injured on another person’s property. Contact our firm’s St Petersburg office online or at 727.384.3524 to speak to an attorney regarding your accident.